This multivitamin and mineral formula is ideal for women with PCOS, blood sugar regulation problems (hypoglycemia or insulin resistance), acne, high cholesterol, metabolic syndrome or diabetes. It balances insulin and key metabolic hormones for better fat loss, better skin and better overall health. 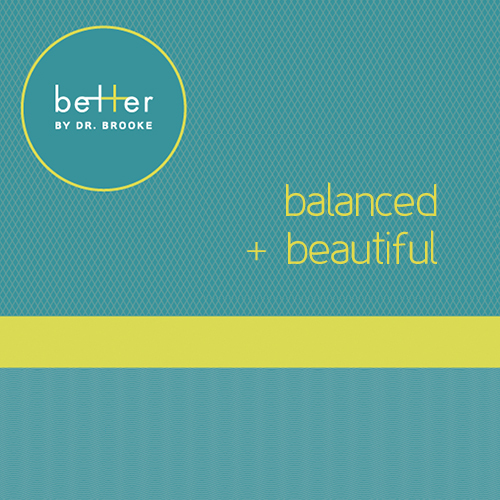 balanced + beautiful contains state-of-the-art, newly researched, anti-glycating agents such as carnosine, benfothiamine and pyridoxamine to minimize damage from blood sugar problems. The mineral forms are all Truechelates from Albion, the leader in the manufacture of mineral chelates with superior absorption. Product contains: vitamin A (from palmitate, fish, and mixed carotenoids from palm tree fruit) 3,000 IU; vitamin C (as ascorbic acid) 500 mg; vitamin D3 (as cholecalciferol) 400 IU; vitamin E 50 IU; d-gamma tocopherol 100 mg; d-delta tocopherol 42 mg; d-alpha tocopherol 22 mg; d-beta tocopherol 3 mg; vitamin B1 (as thiamine HCI 25 mg and benfothiamine 50 mg) 75 mg; vitamin B2 (as riboflavin) 25 mg; vitamin B3 (as niacinamide) 50 mg; vitamin B6 (as pyridoxil HCI, pyridoxal-5-phosphate) 50 mg; folates (NatureFolate™ blend) 400 mcg; vitamin B12 (as methylcobalamin) 1,000 mcg; biotin (as d-biotin) 4 mg; pantothenic acid ( as d-calcium pantothenate) 50 mg; iodine (as potassium iodide) 75 mcg; magnesium (TRAACS® magnesium LYSYL glycinate chelate) 100 mg; zinc (TRAACS® zinc glycinate chelate) 30 mg; selenium (as selenium glycinate complex) 200 mcg; manganese (TRAACS® manganese glycinate Chelate) 3 mg; chromium (TRAACS® chromium nicotinate glycinate chelate) 500 mcg; molybdenum (TRAACS® molybdenum glycinate chelate) 100 mcg; potassium (as potassium glycinate complex) 200 mg; alpha lipoic acid 600 mg; taurine 600 mg; inositol 500 mg; green tea (camellia sinensis) (Leaf) 200 mg [standardized to contain 95% polyphenols]; carnosine 200 mg; benfothiamine 50 mg; vanadium (TRAACS® vanadium nicotinate glycinate chelate) 200 mcg.